The Republic of Kosovo is Europe’s youngest country. It broke from Serbia on February 17, 2008, and in 2010 the International Court of Justice declared it a sovereign nation. Despite its newfound independence, Kosovo’s unusual history actually stretches as far back as the Roman Empire. A trip there offers both a glimpse into a country working to build a future of its own making and a window into understanding how today’s Balkan states came to be. Here, everything from the cafe culture to the nightlife to the tourist attractions has a strong Balkan — and also uniquely Kosovan — flavor, making a Balkans trip without experiencing Kosovo incomplete. Here’s how to get the most out of a trip through Kosovo. This post-Yugoslav country is building its own identity. Kosovo, home to just under two million people, abuts Montenegro and Albania to the west and Macedonia to the south, but it’s bordered to the north and east by the country under whose control it was once under: Serbia. Despite being internationally recognized, a handful of countries, Serbia included, refuse to recognize Kosovo’s independence; they maintain, rather, that the region seceded illegally. While tensions are still present between Kosovo and Serbia, the area today is a safe and engaging place to visit. 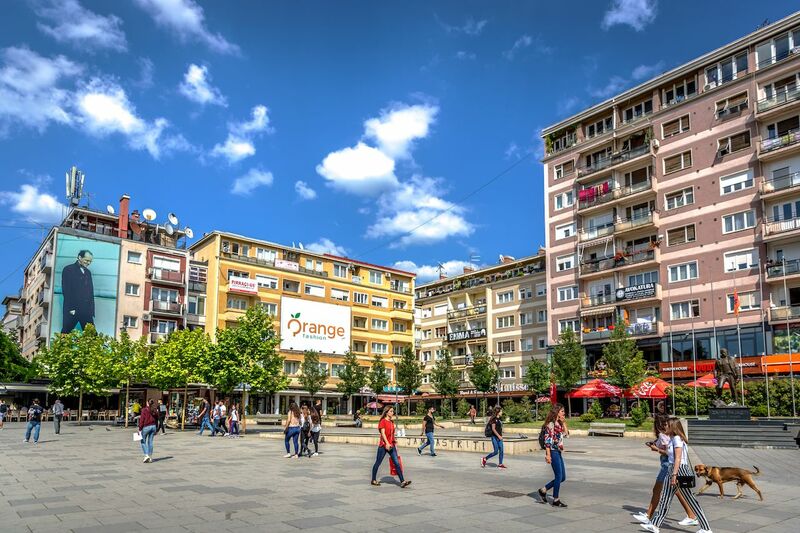 Start in Pristina, Kosovo’s capital and the base for its social scene and most of the primary tourist attractions. To welcome yourself to town and get a feel for the proud and often rebellious spirit that permeates the city, make the Newborn Monument your first stop. A work of art more than a monument in the traditional sense, this typographic structure in the center of downtown literally spells the word “newfound.” It pays homage to the country’s independence, unveiled on the same day Kosovo formally left Serbia. The piece is repainted annually to reflect a theme for the year, most recently celebrating 10 years of being an independent state. Written in English instead of the widely spoken Albanian or Serbian, the monument also serves as a testament to Kosovo’s embrace of modernism and as a firm rebuke of the isolationist policies that dominated its recent past. Another must-do in the city is the National Library of Kosovo, as renowned for its architecture — domed spires that are remarkably space-like — as its collection of works documenting the country’s history. Beyond Pristina, Kosovo’s countryside is dotted with both lush farmland and rolling mountains. For a dose of natural splendor, day trip to Rugova Canyon two hours west by bus for hiking. For another urban adventure, the city of Prizren is two hours south by bus. You can walk through Ottoman and Yugoslavian history. The Museum of Kosovo is the place to read up on the area’s Ottoman and Yugoslavian history, though part of the experience is characterized by what isn’t actually there. Many of the museum’s artifacts were moved to Belgrade by the Serbians before the open revolt began in 1998, and most have never been returned. The Yugoslavian army controlled the building until 1975, and today it still houses an extensive display of military weaponry along with its noted archaeology exhibit and the affiliated Ethnological Museum, which sits on the same complex in the heart of the city. Once you’ve made it through the museum, walk to one of the nearby Serbian Orthodox churches, such as Christ The Saviour Cathedral or the St. Nicholas Church. 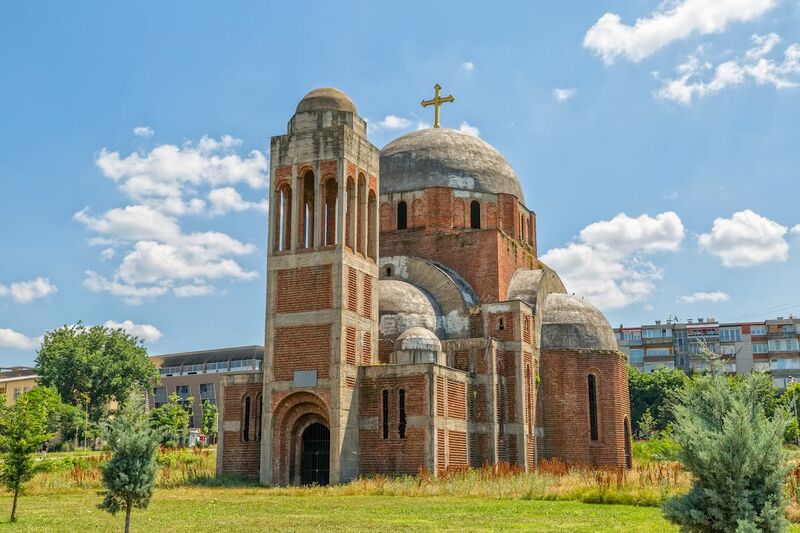 Serving as central meeting points for Pristina’s Christians throughout the region’s many transitions, these historic structures offer a glimpse into the history of Christianity in Kosovo, which dates to the rule of the Roman Empire. While Pristina is lined with beautifully crafted Serbian Orthodox churches, the church many westerners opt to visit is actually Roman Catholic. Mother Teresa, who was born in nearby Skopje, Macedonia, spent part of her childhood in the small town of Letnica just north of the Kosovo-Macedonia border. In this town is the Church of the Blessed Lady where, according to reports, she claimed to have found her religious calling. In honor of her time in Kosovo, in 2010 a new church in Pristina was christened the Cathedral of Saint Mother Teresa. You can view the church just off the M9 highway, about a 20-minute walk from the statue of Bill Clinton. Look for its bell tower rising over the city. Despite the longstanding presence of Christianity in Kosovo, the country’s primary religion is Islam, brought by the Ottoman Empire during its reign from 1455 to 1912. Numerous historical mosques can be found across Kosovo though you’ll have to escape the capital to see them. 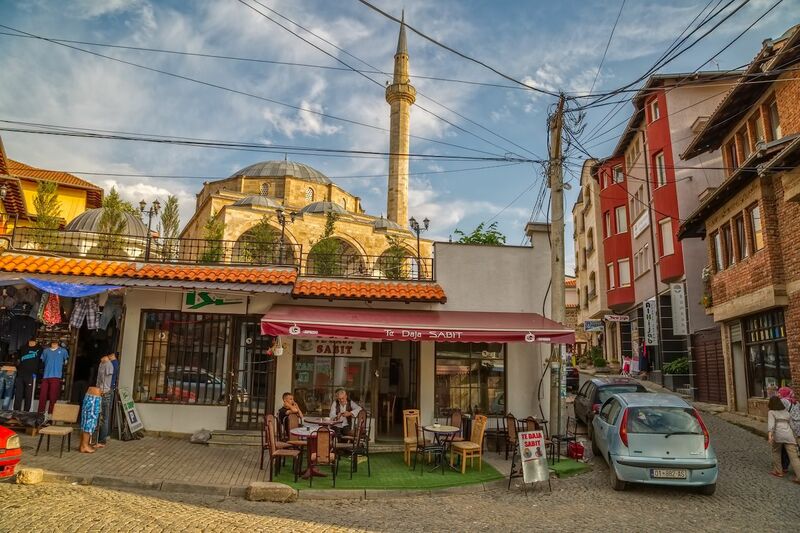 Many are located in and around the Gjakova Municipality in the west of the country, including the Hadum Mosque and, farther south, the Sinan Pasha Mosque. Just north of Pristina in the town of Vushtrri is the Gazi Ali Beg Mosque, which was reconstructed following heavy damage during the conflicts of the late 1990s. Balkan hospitality is on full display. Nearly half of Kosovo’s population is under age 25, young enough that they were kids when the country gained independence and, in some cases, too young to remember the end of the formal conflict in the late 1990s. 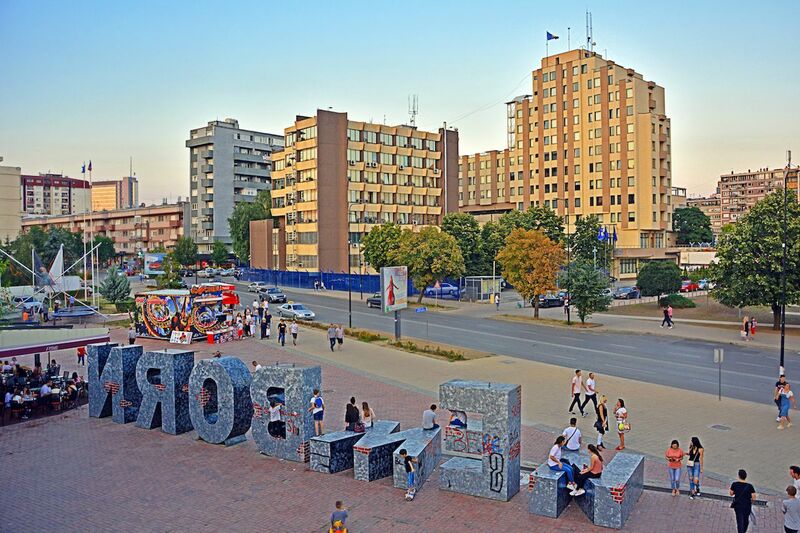 They’re quick to point visitors to the statue of President Bill Clinton, however, whose intervention in 1999 helped end armed conflict and who, along with President George W. Bush, now has a Pristina street named after him. Kosovo’s young population is learning English in droves, and locals aren’t shy about asking you where you’re from and where you’re going. The official currency is the euro, but as a visitor, you’ll find the cost of everything from restaurant meals to hotel rooms to an afternoon beer to be much more affordable than in much of Europe. That beer shouldn’t run you more than €1.50, and you can often find a meal in a typical restaurant for under eight euros. Stroll the streets of Pristina and you’ll be invited into shops by owners standing out front. Downtown, between the City Stadium and City Park, is a lively commercial district lined with bars, clubs, and restaurants. This is where to head if a night out is in the cards. 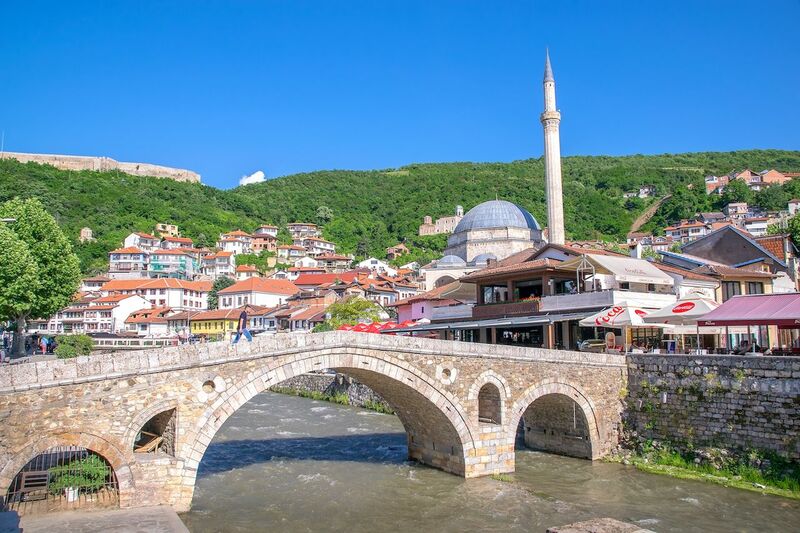 Kosovan hospitality is warm and open, untainted by the jaded service staffs and long queues common in many of Europe’s more popular tourist hubs. The locals are outgoing, quick to offer advice on sightseeing, nightlife, and whether or not the menu at your hotel restaurant is to be trusted. The other way to experience this hospitality firsthand is to visit a qebaptore. These small, family-run grills stand as odes to how much residents of Kosovo, and indeed the Balkans as a whole, love a big plate of freshly grilled meat. 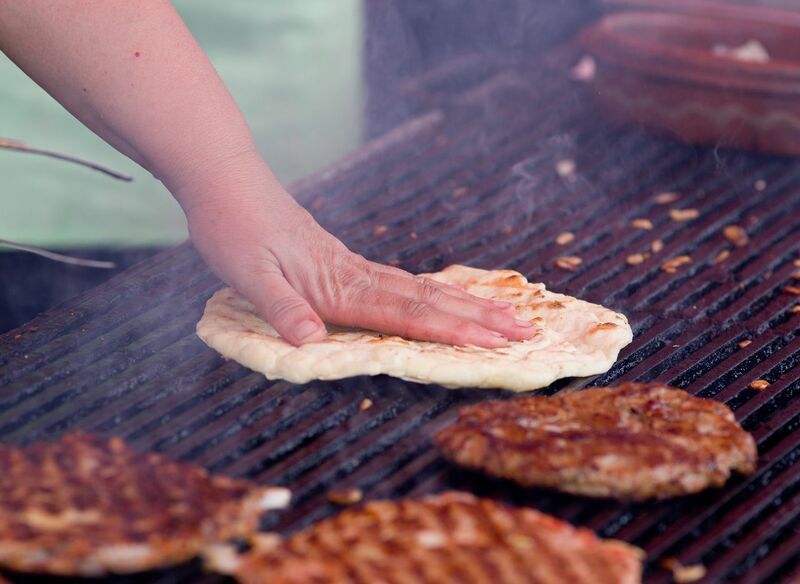 You’ll smell barbecue each time you round a corner in nearly any Kosovan city, and as it goes when eating street food the world over, your best bet is to find a shop with a healthy contingent of locals congregated out front. Kosovoans stop by a qebaptore for a quick bite on the go or to catch up with family and friends. Opt for a combination of individual meats and sides or go all-in with pljeskavica, a meat patty resembling a hamburger and typically made of pork, beef, and lamb. It’s reminiscent of a gyro and usually served with potatoes, cabbage, and, if you’re in the right spot, cottage cheese. Wash it down with a glass of Raki, a brandy-ish spirit that is both mass-produced and bootlegged throughout the region. Dive into a conversation with those around you on the Balkan states’ increased role on the global stage, and you’ll fit right in.